The gaming console landscape we know today is dominated by three key players: Microsoft, Nintendo and Sony. More than a decade before the first Xbox made its debut in 2001, however, Sony wasn’t even a contender and Sega was Nintendo’s sole competition. In the late ‘80s, Nintendo commissioned Sony to develop a CD-ROM for the Super Nintendo Entertainment System (SNES) – a cartridge-based console that hadn’t even been released yet. Cartridges were the go-to format at the time. While they were very durable and offered extremely fast loading of games, Nintendo was well aware of their shortcomings. CDs could hold 10 times as much data as a 16-bit cart and cost just a tenth of the price to produce. Nintendo knew the industry would eventually adopt the CD format yet with the SNES nearing completion, it didn’t make sense to scrap its new cart-based console and start over fresh which is where the ill-fated projects with Sony come into play. 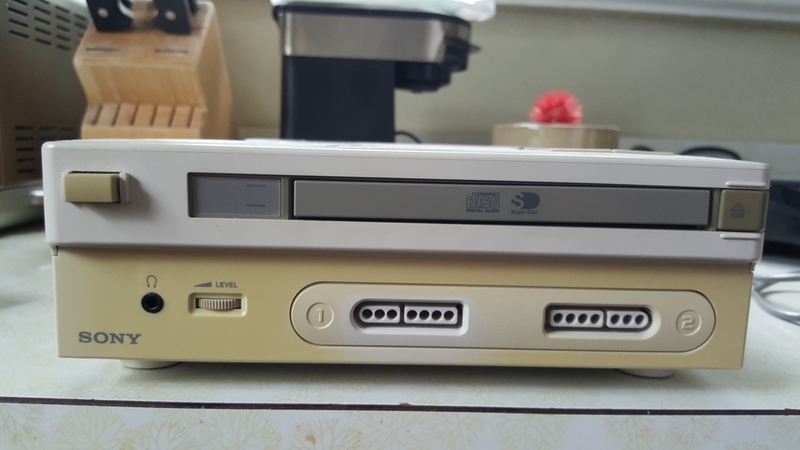 As the story goes, the two companies joined forces to build a CD-ROM add-on for the SNES as well as a console called the Play Station that accepted both SNES cartridges and CDs. Licensing disputes ultimately derailed everything but not before Sony spilled the beans at the Consumer Electronics Show in the summer of 1991. A day later, Nintendo announced that it was actually partnering with Philips to produce a CD-based add-on for the SNES. Sony continued to develop its CD-based console (likely out of spite) which ultimately became the PlayStation it released on December 3, 1994. It is believed that only 200 prototype SNES-CD / Play Station systems were ever created at various stages in its development and all of them were ordered to be destroyed. As you can imagine, these prototypes are extremely rare (by rare, I mean they don't exist) which explains why the Internet is freaking out over the recent discovery of what could very well be one of the first prototypes ever built. In an interview with Polygon, Dan Diebold said he found the machine a couple of years ago in his dad’s attic. How his father came into possession of the system is a story in its own. Dan’s father, Terry Diebold, worked as a maintenance man for Advanta Corporation until 2009. The president of Advanta was Olaf Olafsson, the original co-founder, president and chief executive officer of Sony Interactive Entertainment. When Advanta went bankrupt, Diebold was tasked with cleaning out the building. He found the system in a box in one of the rooms and kept it. Diebold told the publication his father kept a ton of systems and whatnot from Advanta. Who knows what other gems he might unknowingly be holding on to. The find includes the system, a cartridge, a CD and a controller. Unfortunately, there’s no power cord although Diebold said he plans to buy one soon to see if the machine still works. The contents of the cartridge and CD remain unknown. If this is indeed genuine, it would be considered a unicorn in gaming history. Nintendo’s falling out with Sony ultimately meant the Japanese gaming company never produced a 32-bit machine. The SNES was followed by the Nintendo 64 which hit North American stores on September 29, 1996. The company’s first console to utilize an optical disc was the GameCube in 2001. Nintendo's deal with Philips never took off, either. Philips did gain the rights to use Nintendo's IP, however, and released a handful of Zelda games and one featuring Mario for its CD-i console.